Too much fun? Quite possibly! 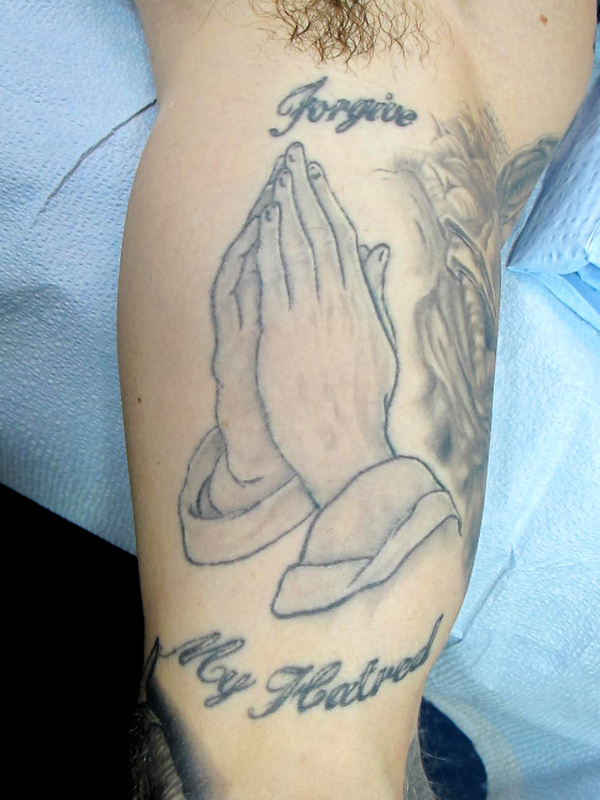 This new piece has got to be my “strangest, weirdest, and most unusual” tattoo to date. While searching for reference of actual Xenomorph hands, I opened up a great book from my collection. The Winston Effect includes extensive coverage of many influential films from my childhood. If you do not have a copy of this book, I strongly suggest picking one up and revisit those moments of movie history! 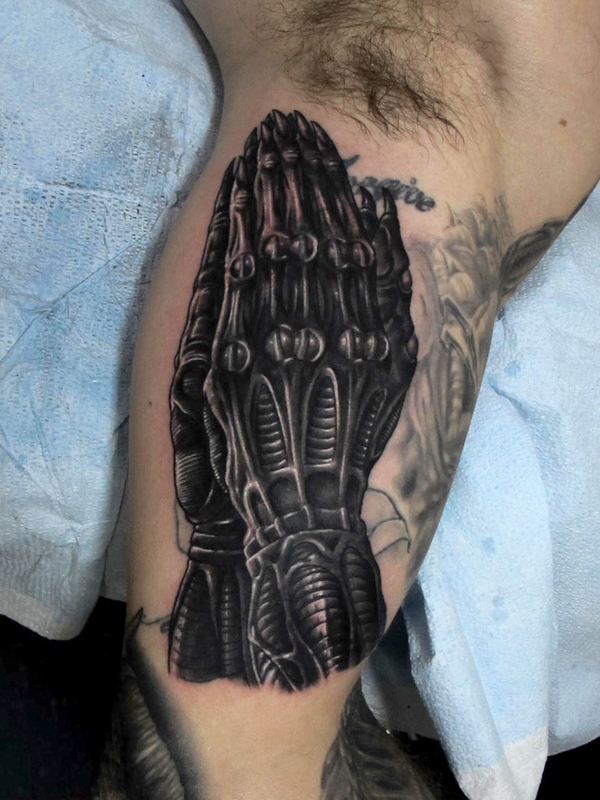 This entry was posted on April 7, 2012 at 1:57 am and is filed under Tattoo with tags Aliens, Giger, Praying Hands, Xenomorph. You can follow any responses to this entry through the RSS 2.0 feed. You can leave a response, or trackback from your own site.